An interesting anecdote and poem about discernment. The older preacher walked up to a rosebush and handed the young preacher a rosebud and told him to open it without tearing off any petals. 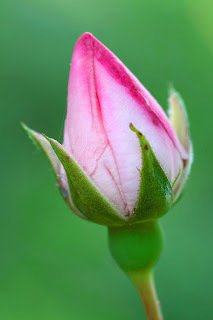 The young preacher looked in disbelief at the older preacher and was trying to figure out what a rosebud could possibly have to do with his wanting to know the will of God for his life and ministry. But, because of his great respect for the older preacher, he proceeded to try to unfold the rose, while keeping every petal intact. It wasn't long before he realized how impossible this was to do. But, in my hands they die. In each step along the way.